Our heart goes out to every bride-to-be affected by the closing of all Alfred Angelo bridal stores. If you or someone you know is looking for a replacement gown for your special day we would like to do all we can to help. We have teamed up with our designers to offer 50% off any designer gown, and waive all rush fees, for those affected by this situation. We also have beautiful off-the-rack gowns we will make available starting at just $399. Simply bring in your Alfred Angelo receipt to receive this special offer. For Arizona brides please call our Phoenix Showroom so we can schedule the most convenient bridal appointment time for you. 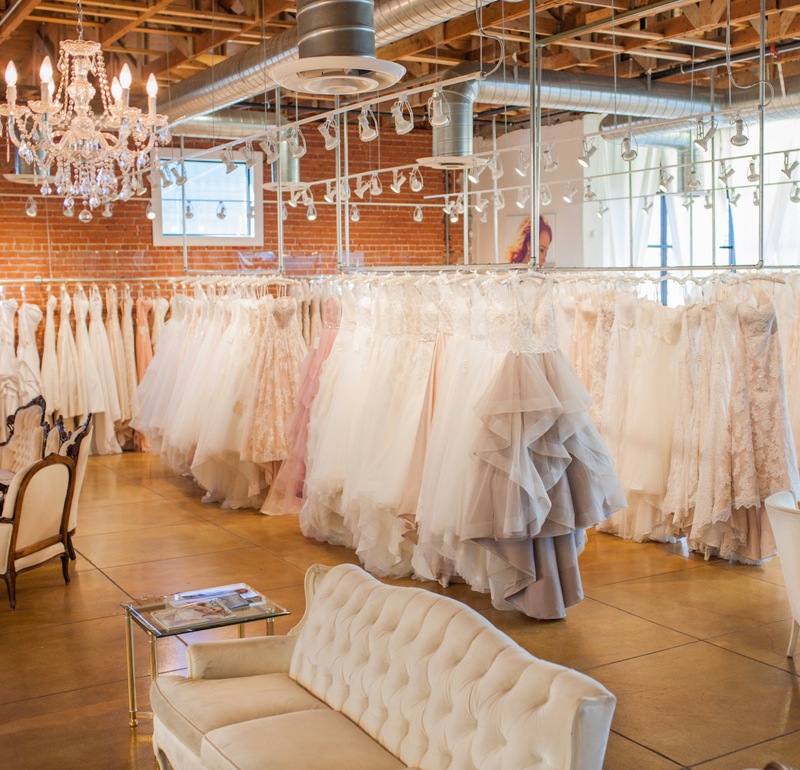 At Luv Bridal our gorgeous, boutique-style showrooms are bride focused! Our experienced and friendly bridal stylists give each bride the undivided attention she deserves on her special and fun dress shopping day. We offer a broad array of different styles, colors and sizes ranging from modern to vintage, couture to bohemian. Something that makes Luv different is that we are not a one size fits all bridal salon and almost every wedding dress we carry is available to try on in a few different sizes and colors. Luv Bridal has the perfect bridal gown for any bride’s style and budget. At Luv we also have a large selection of veils and beautiful bridal accessories including headpiece, jewelry, belts and much more! The journey to finding your dream gown is a special one. At Luv Bridal we will help you “find the one you Luv”. Luv Bridal is conveniently located near the downtown Phoenix area with lots of onsite parking and excellent restaurants and coffee shops all around! Editor’s Note: Please see this referenced article.